Transform your brand through social media & advanced mobile marketing to retain & attract new business. The world of digital has changed once and forever. Unprecedented social media uprise is meant to stimulate online marketing penetration. Reshaping, developing and integrating your marketing strategies will drive your business success and ensure that your brand will be at the forefront of the digital boom. 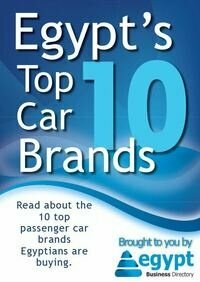 - Understand the current market situation in Egypt and identify the latest marketing trends. - Learn how to incorporate social media into your marketing campaigns. - Get grips with how e-marketing and m-marketing strategies can transform your brand. - Analyze best practices to maximize your effectiveness and cost-efficiency. - Network with key decision makers from Egypt and MENA region and learn from leading international marketing experts.